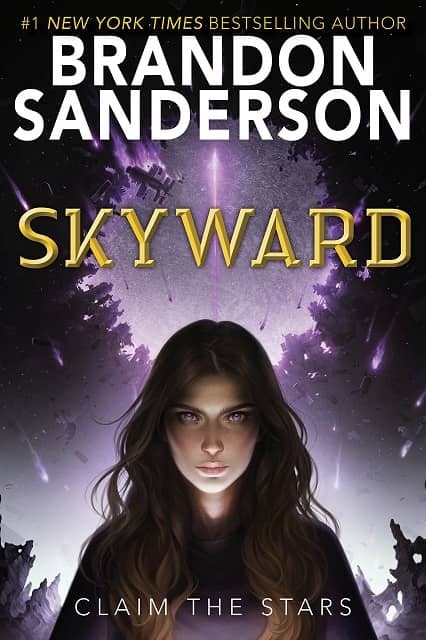 If even one of the aliens’ bombers gets through and releases its payload, Spensa Nightshade and her family will die, along with the remnants of humanity. It’s up to her father and his fellow fighter pilots to take to the skies and drive the invaders away. Spensa doesn’t just admire her father – she’s determined to follow in his footsteps and become a pilot herself. In her militant society, which is named Defiant after the flagship that crashed on this planet, there’s no higher calling. Spensa lives in a cave deep underground, since the planet’s surface is dangerous. Space debris frequently falls from the sky in flaming chunks, destroying everything in its path before hitting the ground. It comes from the ruins of a prior civilization that rings the planet – massive hunks of metal and electronics that used to be shipyards and ancient fortifications. Despite the danger, Spensa has always wanted to see the sky. When her father agrees to take her up to ground level, she leaps at the chance. It’s a hard climb through the caves until they reach a crack from which the sky shines. Gazing up in awe, Spensa sees the layers of space junk shifting overhead like enormous ice floes. “Claim the stars,” her father tells her as a sliver of true space opens up between the massive plates. Something flares across the sky – her father radios into the base, reporting a debris fall. But rubble isn’t the only thing coming down. The aliens have used it as cover, and attackers rocket toward the base. All will be lost if they get through. Telling Spensa to return home the way they came, her father runs for the airbase. He stops, turns, and comes back. Unclipping his pilot’s pin, he tosses it to her before continuing to run to his plane. That’s the last time she sees him. During the epic battle that follows, his fighter is shot down. But not by the aliens. His own teammates did it, claiming that he had turned tail and fled. From that day on, Spensa is tarred with the same brush as her father. She’s the daughter of a coward, and as such, will never be trusted. No matter how much she yearns to become a pilot, no matter how hard she’s worked toward this end, the authorities won’t let her into a cockpit. The admiral has even rigged the entrance exam against her. But Spensa always has been defiant. Nothing will keep her for reaching skyward. #1 New York Times bestselling author Brandon Sanderson adds to his glittering constellation of children’s books with Skyward, which Delacorte Press released on November 6, 2018. The novel soon enjoyed a six-week run on the New York Times bestseller list for YA Hardcover. What’s not to love about this book? It’s Top Gun for YA science fiction fans, with a measure of Zion from The Matrix thrown in. There’s even a Star Wars-esque dogfight inside the ruined hulk of a shipyard in orbital decay. Sanderson’s prose is accessible and playful. The fast-paced plot throws Spensa into combat far before readers can reasonably expect it, and Spensa herself is a true hero. While she might start out as a rather aggressive and bellicose young woman, her heart never desires anything but to serve her people. It’s great fun to cheer for her as she grows and matures. Watching her defy the powers that be in order to claim the stars will thrill adult readers just as much as teens. 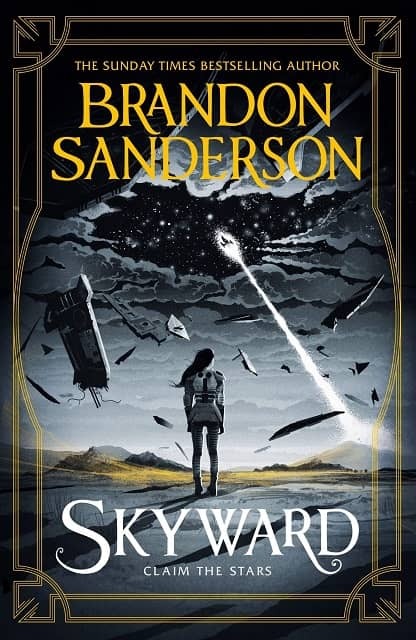 Skyward was published by Delacorte Press on November 6, 2018. It is 528 pages, priced at $19.99 in hardcover and $10.99 in digital formats. A paperback edition is due in October, around the same time as the sequel, titled Starsight. To climb into Spensa’s cockpit and take off on a wild flight, point your browser here for the first 15 chapters.